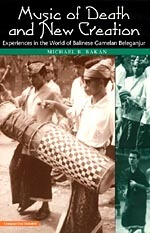 Garland Encyclopedia of World Music. 1998-2002. Routledge. 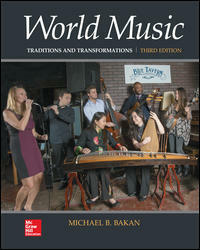 A ten volume series on music around the world. Each volume is devoted to a region, with articles by ethnomusicologists and other music scholars on a wide range of topics including musicians, musical styles, social practice, musical instruments, history, and many others. This source provides in-depth information on musical styles, musical instruments, musicians, performance practice, and many other subjects. Grove Music Online includes full text of The New Grove Dictionary of Music and Musicians, New Grove Dictionary of Opera, New Grove Dictionary of Jazz, and Encyclopedia of Popular Music. Blacking, John. 1973. How Musical Is Man? University of Washington Press. Cage, John. 1961. Silence: Lectures and Writings. Wesleyan University Press. Fascinating glimpse into the philosophy, thoughts, and avant-garde concepts of this important 20th century composer. Cage, John. 1993. 4’33: For Any Instrument or Combination of Instruments. Henmar Press. Reproduction of the original score of this well-known work by Cage. Authoritative, scholarly monograph on Qur’anic recitation. Nettl, Bruno. 2006. The Study of Ethnomusicology: Thirty-one Issues and Concepts (New Edition). University of Illinois Press. 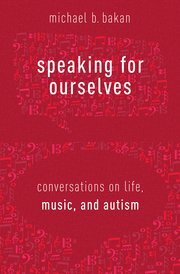 Provides an excellent introduction to the discipline of ethnomusicology and many issues and concepts that relate broadly to the study and appreciation of music in global context.